January 23 is “National Pie Day” – what better way to celebrate than with a homemade pie from one of these local spots! 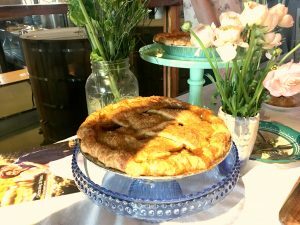 East Durham Pie Company, a pop-up pie shop featuring handmade sweet and savory pies with seasonal twists and local ingredients, has been on the come-up for quite some time. Durham residents have helped to expand the positive reputation of EDPC and owner Ali Rudel, making EDPC into a local fixture in no time. Unique flavors and ever-changing offerings keep things fresh, while shifting sale locations keep customers on their toes. A weekly pop-up on Thursdays at the Ponysaurus Brewing Company helps keep them on the radar of returning customers, and show newcomers what all the fuss is about. Thanks to a successful crowdfunding effort, however, EDPC is set to open a brick-and-mortar location in the Old East Durham neighborhood in 2017. In celebration of National Pie Day, all whole pie orders are discounted by $5 for today only, and with current offerings including blood orange custard, ginger-lemon chess, honey pecan and chocolate chai, there aren’t many better ways to celebrate. Foster’s Market in Durham is another well-known location to grab a piece of pie, with slices priced affordably at $2.75. A smaller bakery with a homely feel reminiscent of traditional Southern kitchen, Foster’s market is perfect for pie eating. Foster’s Market, places a strong emphasis on simplicity and adherence to strict standards of quality, both things that translate exceedingly well when it comes to pie. Mama Dip’s, located on West Rosemary Street in Chapel Hill, has been producing familiar Southern fare since 1976. 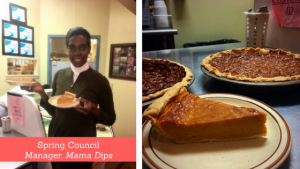 Proximity to UNC’s campus and a stellar reputation in the local community keeps Mama Dip’s busy, and the food always fresh. From chocolate pecan to lemon custard, sweet potato to Boston cream, Mama Dip’s is the place to find classic pies and find new favorites. A slice is $3.95, and a whole pie is just $18. Happy pie eating!